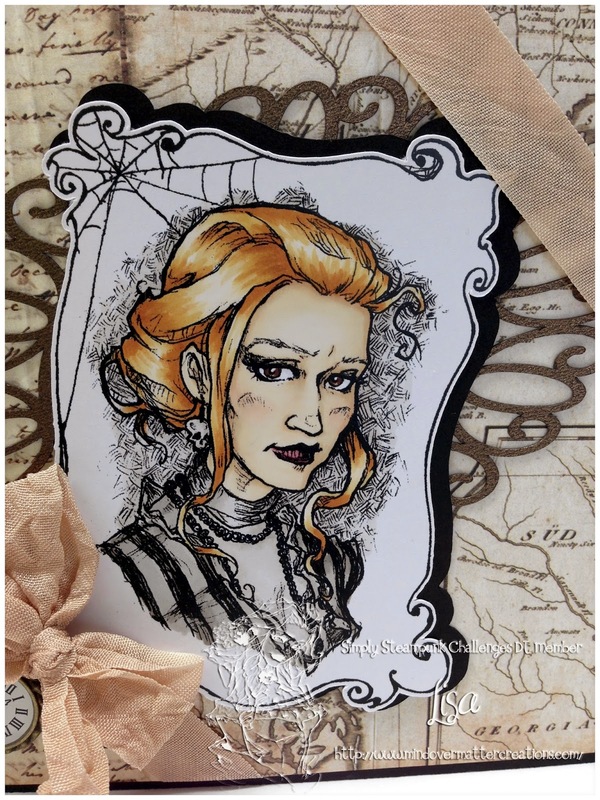 Today, at Simply Steampunk Challenges, we are launching a re-release of some of our favorite Steampunk images available from Simply Betty Stamps. I have used my wonderful Silver Bullet Professional to cut her and the shadow layer out as well as the scrolled frame behind her. I have used crinkled ribbon and pearls from my stash. 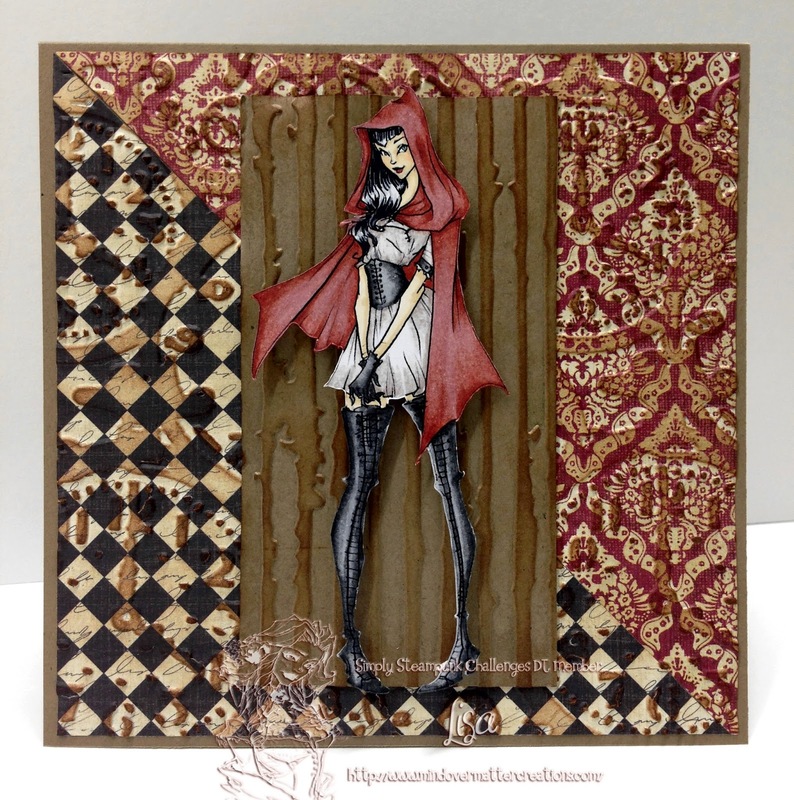 A timepiece from Hobby Lobby and designer paper from Prima - Engraver 6x6 pad. Thank you for stopping by and I hope you have a blessed and creative day! 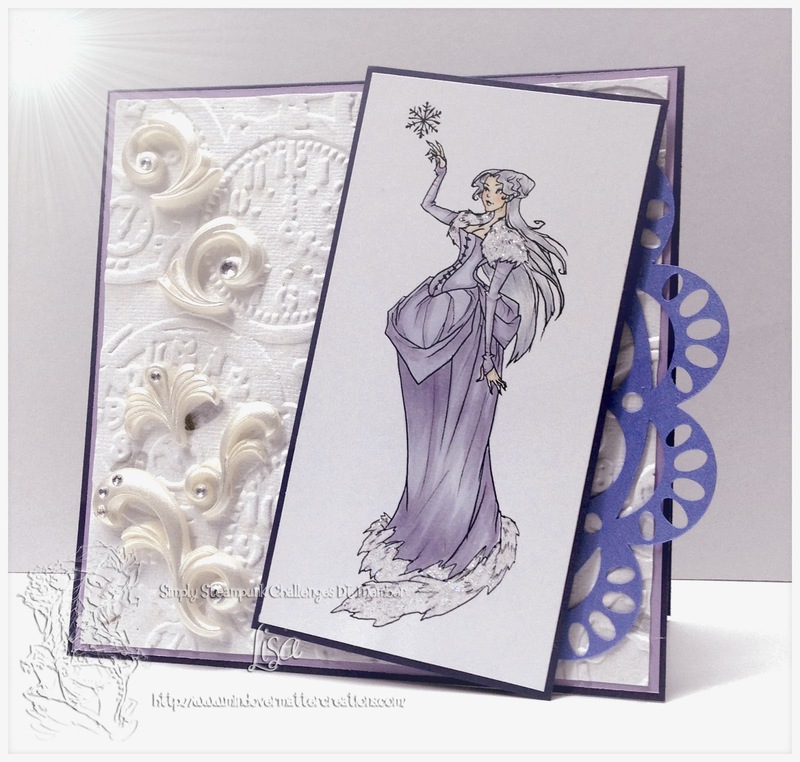 The Snow Queen is a member of the fabulous Fairy Tales & Myths collection over at Simply Betty Stamps. 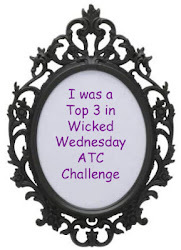 I have used deep purple cardstock as the base and mat for the image and a lavender plain cardstock for the accent mat. The clock paper is a handmade paper purchased from Michael's and a clock embossing folder was used to give it a little steampunk flavor. The purple (I know, it looks blue in the picture, but it REALLY is purple) doily is a leftover from another project and it worked beautifully with this one! The embellishments are from Michael's and are Jolee's boutique by EK Success. When I saw them, my first thought was "fairy tales". 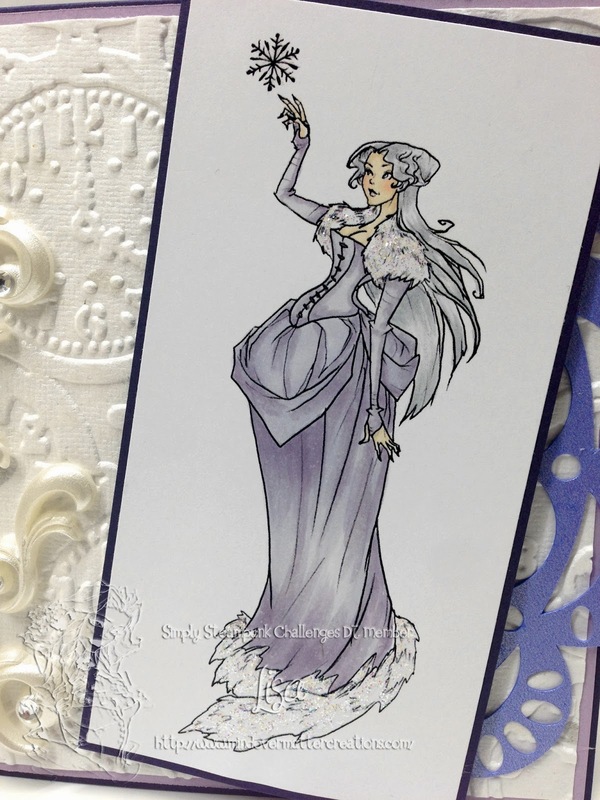 Snow Queen is colored with copics. Thank you for stopping by and until next time, have a blessed and creative day! Create your own background, only one piece of Designer paper. you MUST follow the Challenge rules to be considered for the prize. 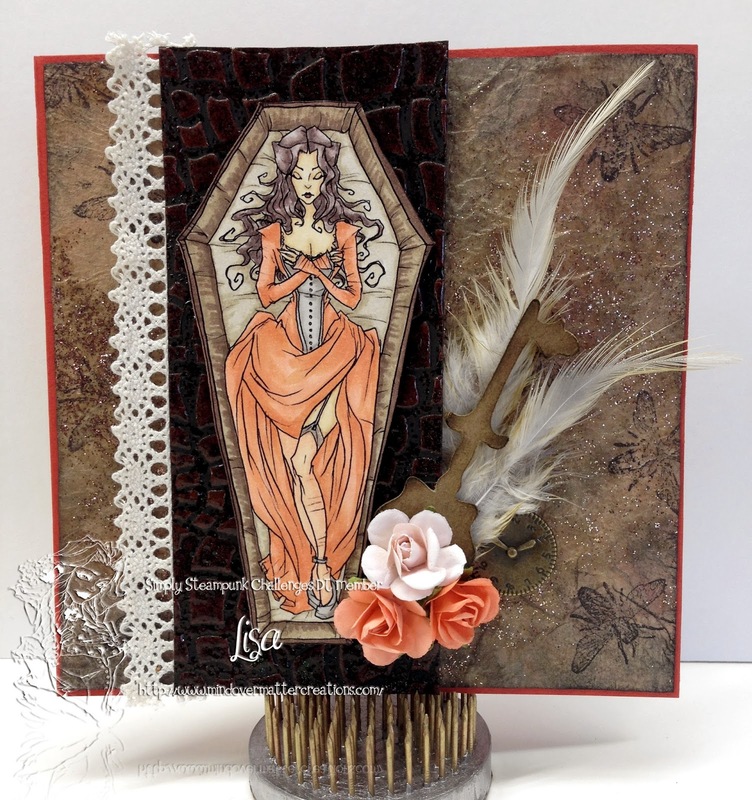 I used my Silver Bullet Professional and SCAL to do a print & cut of this gorgeous image and then colored her with my Copics. The key was cut from chipboard with my Silver Bullet Pro as well and then sprayed and inked. 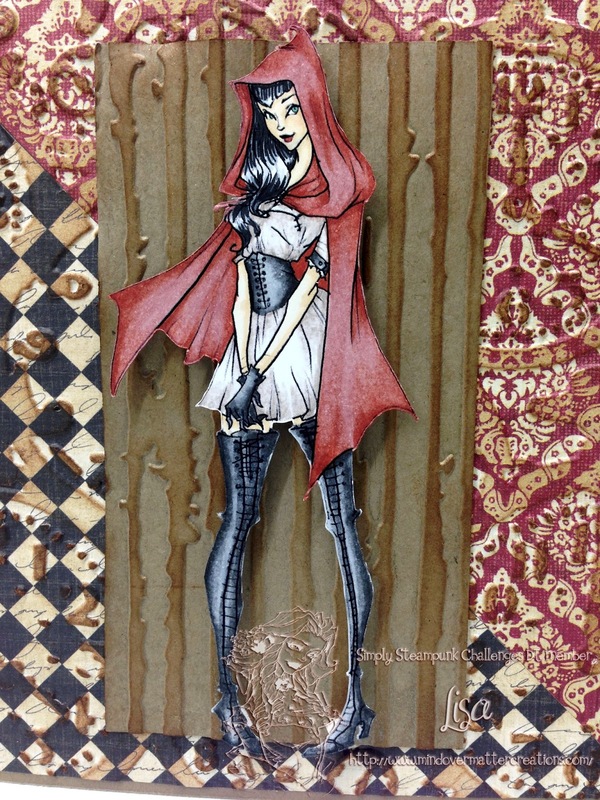 I chose not to use any designer paper, instead choosing to make both pieces from scratch. The background paper is a coffee filter that has been sprayed, distressed and stamped then applied to a piece of cardstock. The paper strip is black card stock that has been embossed with an embossing folder, inked with copper ink and then wet embossed with UTEE...kinda looks like cobblestones. 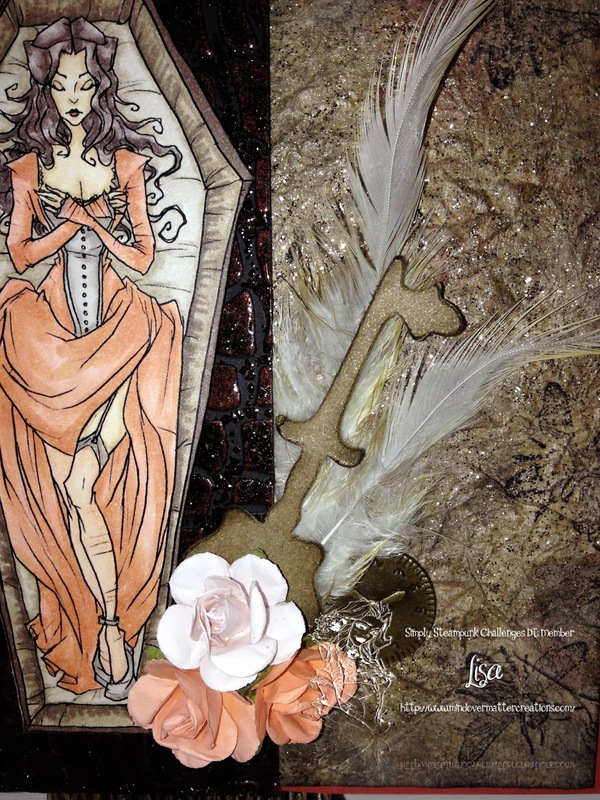 The flowers, feathers and clock charm are from my stash. 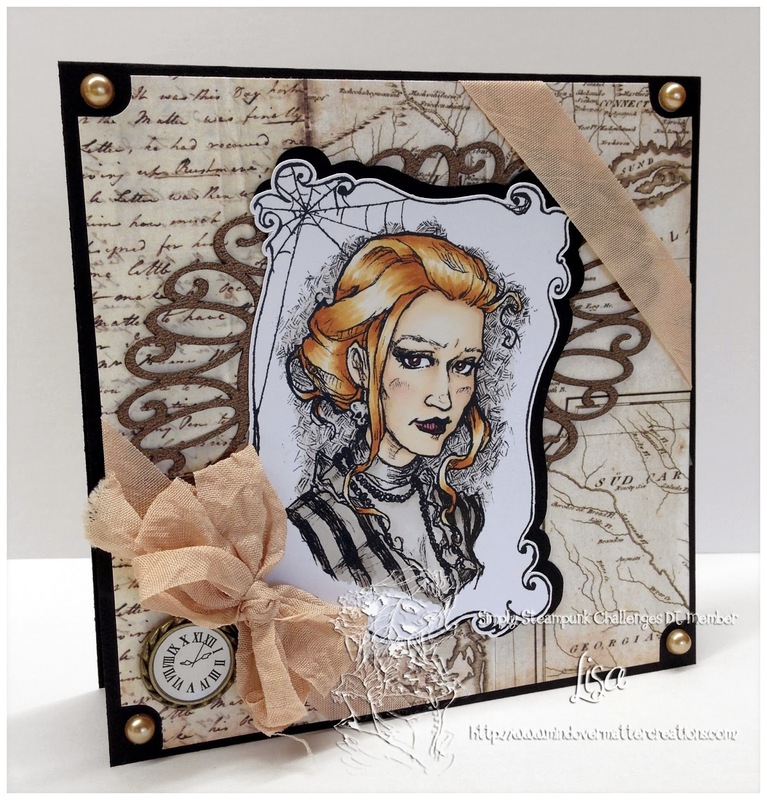 I hope you will grab a Steampunk image, get inky and play along! Thanks for stopping by and visiting for a few.